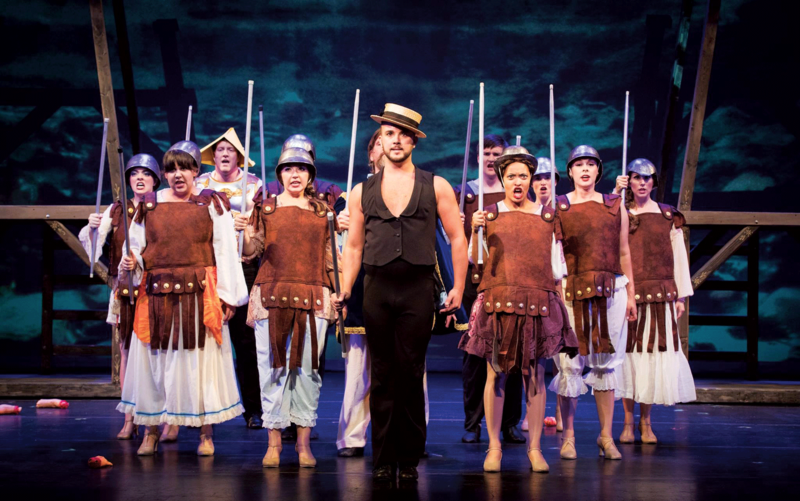 A 2017 TAP production of Pippin. Actors in bright costumes dance in unison while a chorus of 20 belts out a show-stopping number. A whimsical stage set transports the audience to another world. No, we aren’t on Broadway. We’re inside the Thomas Jefferson Community Center with Arlington’s long-running community theater company. Founded in February 1951 in the Pine Room of the Arlington Methodist Church, the fledgling theater company staged its first show—the Charlotte Armstrong comedy Ring Around Elizabeth—later that year. Since then, it’s tackled blockbusters such as A Streetcar Named Desire, The Producers and Joseph and the Amazing Technicolor Dreamcoat. TAP stages three productions a year with an all-volunteer cast and crew who do it out of love. “TAP is a family,” Yates says. “These are people that you get close with through tech weeks, rehearsals and runs.” The theater’s winter production of Arsenic and Old Lace runs Feb. 1-16 with eight performances.